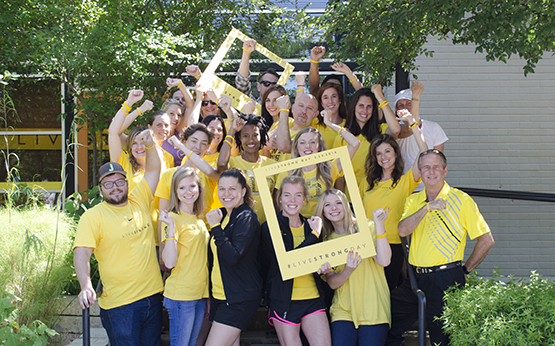 At LIVESTRONG, we fight for the more than 32.5 million people around the world living with cancer today. There can be—and should be—life after cancer for more people. That's why we kick in at the moment of diagnosis, giving people the resources and support they need to fight cancer head-on. Anyone, anywhere can join our fight against cancer. The LIVESTRONG Foundation is an Equal Opportunity Employer and we take pride in our dynamic and innovative results-oriented workplace. We are a small team that makes a big impact, and we offer competitive benefits including fully insured medical, dental, vision, disability and life insurance, plus a 401k plan with matching. We have been recognized as an employer of choice by Outside Magazine, The Nonprofit Times, and the Austin Business Journal. The Austin Business Journal has also honored us as one of Austin’s healthiest employers, we are accredited as a CEO Cancer Gold Standard Employer, and we are proud to be a designated Texas Mother-Friendly work site and Bicycle Friendly Workplace. We offer positions with varying levels of responsibility for the development and support of our mission. All positions are based at our headquarters in Austin, Texas, unless otherwise noted. LIVESTRONG offers unpaid internships to current students and recent graduates interested in learning the inner workings of a nonprofit organization. Interns will be paired with a team member for one-on-one mentorship to gain hands-on experience in their area of interest. Be available to work 12–20 hours per week during regular business hours at LIVESTRONG HQ in Austin, Texas. Be self-motivated, organized, willing to help with any project no matter how large or small and be able to balance multiple priorities at once. Have a strong desire to make a difference, a passion for the LIVESTRONG mission, a positive attitude and an affinity for the color yellow. Be able to provide their own housing and transportation; mastery of parallel parking is a plus. If you meet all of the above requirements and would like to be considered for an internship, please fill out the online application. Please be aware that not all positions will be available every semester, and we will begin interviewing select candidates before the application deadlines listed below. Human Resources interns work to enhance internal and external communication in order to ensure that applicants and individuals who write in, call, or walk through our doors have a positive and engaging experience with the Foundation. HR interns primarily focus on internship program management including full-cycle recruitment (position posting, resume review, interviewing and on-boarding) while organizing social and professional development opportunities within a highly collaborative and dynamic team environment. Accounting interns assist with expense report reconciliation, budget reporting, and data input. Tasks include building and testing of new reports, maintaining allocation spreadsheets, and researching cross-functional team inquiries. Interns will also have the opportunity to work with accounts payable entries, standardized journal entries, and document retention and management. This internship is ideal for someone in pursuit of Business, Accounting, Economics, Information Systems or a similar focus. Experience with Microsoft Office (Excel, Word), data reconciliation and a strong attention to detail is required. Fundraising and Events interns help Team LIVESTRONG staff as they organize events to engage constituents at all levels. 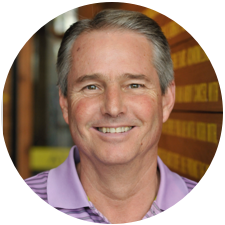 This includes interacting with vendors, sponsors, participants, volunteers and other organizations to grow Team LIVESTRONG awareness, recruit participants and set up in-market activities. Additionally, interns assist event participants in developing successful fundraising plans to support their goals. Tasks include constituent communication, sharing fundraising tactics, fulfilling requests, and rewarding fundraisers with incentives during their campaign. Development interns assist with projects that support the entire development team as we work to update and maintain accurate constituent records. Interns assist with managing our grants portfolio, creating and running reports for prospect/donor events, data analysis, and conducting basic research on individual, corporate or foundation prospects. Marketing Strategy interns focus on project management and assist with a wide range of initiatives such as event marketing, digital optimization, and national development campaigns. Interns work with internal and external stakeholders, fulfilling requests and stewarding projects from initiation to completion. The ideal candidate will have superb communication skills, be process-oriented and deadline-driven. Digital Marketing interns work within the Foundation’s email and social media marketing campaigns. Interns may be involved in work for the LIVESTRONG Blog, Facebook, Twitter, YouTube, and other social media networking sites, alongside working on larger email marketing campaigns, and using analytics tools to inform our digital marketing efforts. Patient Support interns help measure the impact of Foundation initiatives. Tasks include data collection, research, and evaluating a wide range of programmatic initiatives. Interns have the opportunity to analyze data and report internally and externally on the outcomes of Foundation initiatives including cancer support services, grant-funded programs, public health and health policy initiatives. Interns must have strong computer skills including Excel and Word and have the ability to do research-type tasks such as analyze data and develop charts and tables to be included in reports. Mission interns support the development, implementation, and execution of LIVESTRONG’s strategic mission and objectives. This role may include support in the organization’s delivery of patient-centered services, building and engaging communities of survivors, and leading system change through a variety of programs and initiatives including LIVESTRONG Navigation Services, LIVESTRONG at the YMCA, LIVESTRONG Cancer Institutes, the LIVESTRONG Leader Program and Advocacy Efforts. Our interns have the opportunity to work with some of the largest nonprofits in the United States such as YMCA of the USA. Additionally, interns may support planning and implementation of events, workshops, and trainings. Ideal candidates should have great communication skills, be highly organized and have the ability to work on multiple projects at once. This is a great position for someone interested in nonprofit management, program creation, community outreach, and grant management. LIVESTRONG owes a debt of gratitude to the volunteers who generously donate their time towards our mission to improve the lives of people affected by cancer. We pride ourselves in creating a fun, diverse and unique environment for our team of talented and dedicated volunteers in our Austin, Texas, headquarters. Space is limited, but we always welcome inquiries.